Famous people born on AUGUST 18 are crazy. They do things that most people won’t consider doing. Surprisingly, it motivates others to face their fears. When it comes to their friends and family, they are the one they depend on. If you are looking for love like the famous born on August 18, then look at the sun sign Aquarius. This relationship is likely to be your best match. However, they should be careful not to put restraints on the Leo as they like to roam. If the Lion were to settle down it would be with someone who is accepted as a lasting friend. 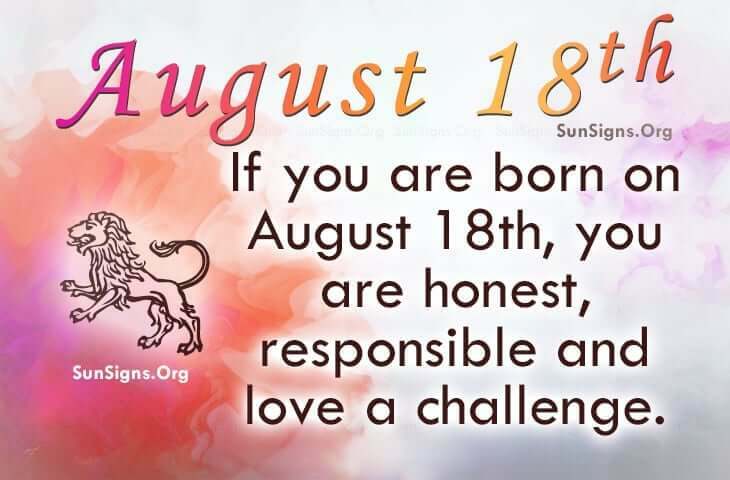 Famous people born on AUGUST 18th are Leos who love a challenge. More to the point, they like danger! People think they are a little odd because of this. They tend to be honest and responsible. They could very well be a youth counselor because of their love for children.